A previous post on literature circles highlighted how technology can make traditional strategies more engaging to students. If you use project-based learning in your classroom, the sky is the limit when it comes to integrating technology to your plan. That being said, where do you start? A good place to start is Fluency 21, a unit creation site that walks teachers through the PBL planning process. Teachers can then share their plans, or keep them private. Recreate a scene from another character’s perspective using Touchcast or iMovie. All these ideas take your students to higher levels of learning and address Common Core standards in ELA. Please share what you use to engage your students in literature. Thanks again for all your attention - do let us know what you want more of! To define, formative assessments are the strategies teachers use to see if the students are “getting it”. The assessment provides indicators to the teacher as to what should be revisited and retaught. Formative assessment should be done within lesson or unit, and usually should not be graded. I recently came upon this presentation that includes 54 ideas on formative assessment to use in your classroom. Unfortunately the presentation does not have the author’s name on it to give proper credit! Below are a few of the assessment ideas that include the use of technology. Pick a couple that are engaging, and that you and your students can easily access. Remember, this should be a process that quickly provides you information on where your students are. Use them daily to establish a level of comfort and trust in your classroom. Google Forms: Comments, questions and suggestions about the lesson? Students who normally would not participate in class may do so virtually. Clickers: Give each student a student response system (or clicker) or use a service like Socrative, Poll Everywhere, or Google Docs and ask questions during class, and have students respond individually (or in groups) to the questions. Flubaroo: Create self-marking quizzes students can take for formative feedback on their understanding. Cold Calling: Use a procedure for asking questions which ensures that all students have a chance to be asked a question, and include students who might not otherwise participate. Apps such as TeacherKit can be used to randomly call on students without repetition or leaving anyone out. ActivePrompt: Upload an image (like the one below via Riley Lark). Give the URL to students and ask them to place a red dot according to how they feel. Back Channel: Using a program such as Todays Meet students are able to state ideas, discuss thinking, and share questions as a topic is being taught. Teacher is able to quickly address questions and point out interesting thinking. Students are able to build on their own understanding through the thinking of their peers. Especially great for the shy students as they have a voice through technology. Corkboard: Students are able to collaboratively post their closing thoughts, ideas, questions, or comments on a digital corkboard. 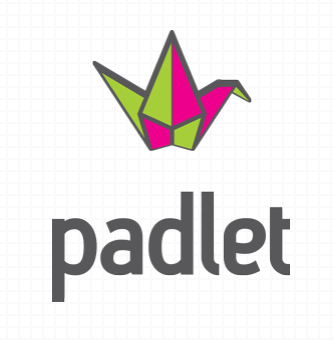 Use programs such as Padlet or Linoit. Socrative: Students can log-in to your virtual Socrative classroom. Teachers can pre-post or issue 'on the spot questions' for students to respond to. Twitter Board: Students are able to summarize what is learned from a lesson within a short sentence. Photos: Chose two or three photos that represent a process. Have students write captions for each photo followed by a short summary. This year, my responsibility is curriculum and technology integration. I'm looking for some teacher resources to assist them in developing great lessons to help improve our students' writing skills. Here are a few resources I've found, or ones I've reminded myself of in the last couple days. Just signed up for the National Digital Writing Project site. Teaching Writing Resources looks interesting (although the resources are not necessarily 'new,' but still of value). Notably, there is access to nearly 200 university-based local sites covering all 50 states, with local resources to use. I checked into our local site for the San Jose area, and immediately found some good resources, including some Young Writer Saturday Seminars I plan to recommend to our parent community. Affiliated with NDW Project is The National Digital Writing Project's Digital IS, specifically aimed at using technology more effectively to support student writing. The organization of Digital IS is awesome (compared to many sites, this was refreshing). There are four main components, including the Art and Craft of digital writing, and Teach and Learn - what are we learning about how people develop as digital writers. This site looks uber-cool with deep resources, tool, tips and techniques. The National Council of Teachers of English (NCTE) is a well-known site that also has significant resources for us to improve our writing instruction. Some resources are free - as an example, a chaper excerpt from Reading Assessment. Membership is fifty bucks a year. I signed up for the (free) monthly version of the NCTE INBOX newsletter which has articles of interest to writing instructors. Members get it weekly. and resources, for students and teachers. 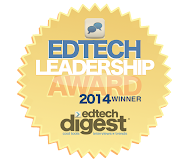 Lesson plans, professional development, and some interesting 'at home' resources, too. If nothing else, check out the Student Interactives page with tons of fun, engaging, EASY TO USE tools. If you have even less time, check out Comic Creator, one of my all-time favorite tools. The Student Interactives section, has good search and filtering, to find just what you need. Most (all?) tools include some lesson plan ideas, too, broken out by grade. Very randomly stumbled upon this resource on Forms of Writing & Genres from children's author Suzanne Williams. A really good recap of the many and varied ways students can practice writing, a little info about genres and the teaching strengths that go with them, as well as a practical how to on teaching forms of writing or genres. Good stuff...amazing what a relatively simple Google search can turn up! What sites do you use to help you grow better student writing skills? Inquiring minds want to know! Have a fear of Friday the 13th (friggatriskaidekaphobia)? Here are a couple fun lesson ideas to help you and your class celebrate the day.